One of the issues that will be debated in the next election - especially the primary - is how Republicans should go about repealing ObamaCare and whether incumbent Republicans have been committed enough in the effort to repeal it. But we need to be realistic in how we go about it and how we expect our elected officials to act. 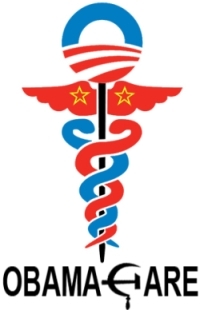 Offer current ObamaCare enrollees unlimited medical savings accounts that roll over indefinitely. Subsidize those savings accounts. Pass a dollar-for-dollar tax credit on medical expenses. Allow insurance companies to operate in all states and across state lines without restriction. Let's be realistic here: A straight up repeal will never pass. It should, but it will not happen. We can reform ObamaCare and make it better, with the ultimate goal of repealing it and replacing it with something else. But those reforms will have to be passed piece by piece. First, we have a presidential veto that we cannot get passed until at least January 2017. Even if we get a Republican President then a full repeal will not get through a filibuster. Like it or not, it will be a ten or twenty year project to repeal this monstrosity piece-by-piece. We can look to the past for examples of what to do and what not to do in repealing ObamaCare. For example, there were some good ideas in the 1990's to reform Medicare. One of these was allowing seniors to choose a different delivery system for their benefits, but it was explained poorly and Republicans were wholly unprepared for (and wholly naïve about) the attacks on that proposal and the people proposing it. A similar reform could be proposed for ObamaCare, though it must be handled better than the Medicare proposal was handled. It is true that Congress could simply refuse to fund ObamaCare, and fully fund the rest of the government. Let Obama and the Democrats choose to shut down the government and stand your ground. But that is not realistic. Our leadership in both houses, and a significant portion of the membership, does not have the stomach for that. If that were to happen, it would need to be planned well in advance with a unified Republican Party that is prepared for the attacks and disciplined in its message. None of those prerequisites exist. Finally, we need to be honest with ourselves: An entitlement has never been eliminated in the history of our nation. The odds are against repealing this one, simply because of the political realities in Washington. We can make this better, less intrusive and less oppressive, but we can only do it a little bit at a time.